This case story describes our work with MSA Professional Services (MSA), a multidisciplinary firm, to rebrand the organization and redesign its website to promote the firm’s unique point of view. Our initial objective was to update our website to a new mobile-friendly platform. But the team suggested we look at a rebrand, as we needed a better way to articulate who we are today and who we aspire to be. 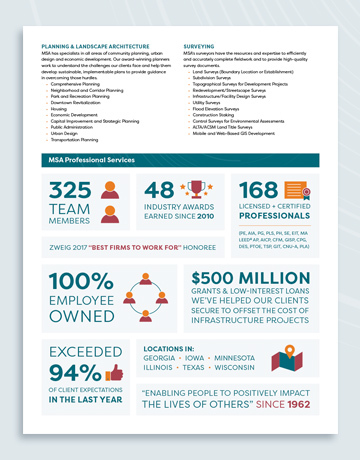 MSA had grown from its roots as a small mid-west engineering firm serving primarily rural markets into a multi-regional, employee-owned organization with the passion and expertise to help clients develop more sustainable communities. While the organization grew, its brand struggled to evolve. The firm had taken the initiative to launch a content marketing effort; but the thought leadership was not generating the expected results. 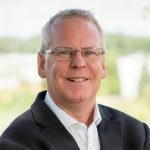 Moreover, the company lacked clarity around its governing point of view with no central messaging strategy to tie its marketing efforts together and clearly communicate the value MSA offers its clients. I’m a firm believer logos should tell tiny stories and as we helped MSA determine its story, we worked to craft a logo where every element was mindfully selected for the purpose of expressing that story. Rattleback’s mood boarding process helped the team align around colors, textures, and shapes that best express MSA’s collaborative, honest approach to client relationships and the work it does to improve communities. Leveraging the results, the Rattleback team crafted a new logo mark to express the firm’s viewpoint on the built environment and its approach to sustainable, economic development. To build excitement around the new logo, the MSA team successfully launched a logoed apparel buy-back program to encourage all associates to embrace and proudly wear the new identity. 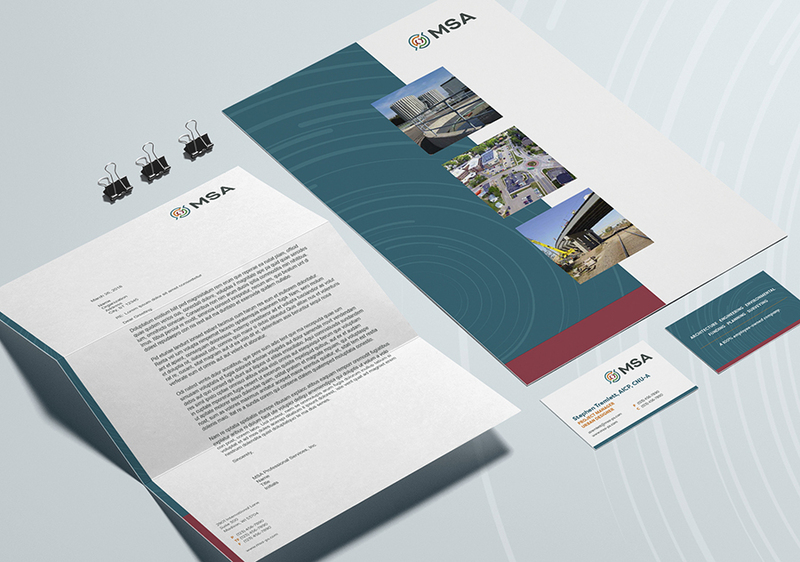 By defining and articulating the firm’s point of view, Rattleback helped MSA create a new messaging strategy to better communicate how its approach solves client problems and delivers sustainable value. The process included defining who the company is and what it does, the purpose behind its work, and how its approach is unique from its competitors. 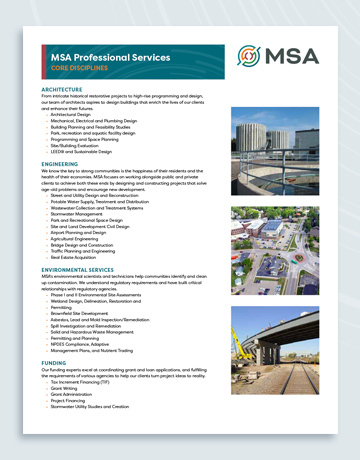 The process helped MSA frame its communications to better resonate with clients, emphasize the benefits of the MSA approach, and position the company as a trusted source of expertise to help communities with the challenges they face every day. Beyond dated technology, the old MSA site was cumbersome, and lacked a compelling narrative which made it difficult for visitors to find the information they needed. 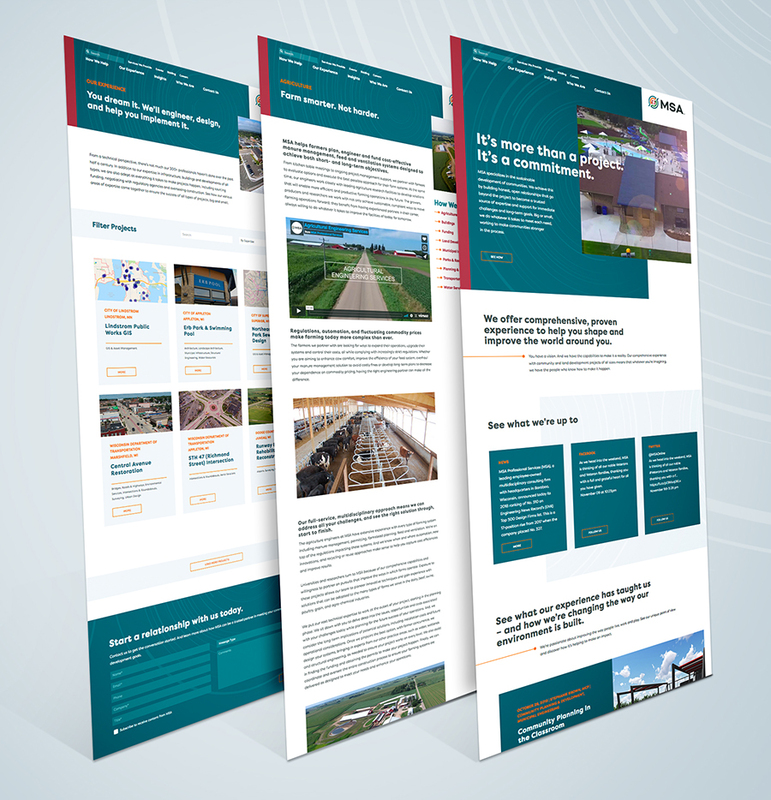 As we undertook this redesign, we started with engineering the site against the preferred buyer journey while helping both position and differentiate MSA’s overarching solutions and individual services. As part of this process, Rattleback built a content management engine which enabled the ability to seamlessly connect MSA’s insights, work, solution mix, and people. The results lead to a better and more authentic presentation of MSA and an improved user experience aligned around the client’s buying process. "We’ve put the time and effort into the rebrand and redesigning the site, and now we’re committed to getting the most from it. We believe Rattleback will continue to be our partner in that process by providing the needed support to maximize our return."